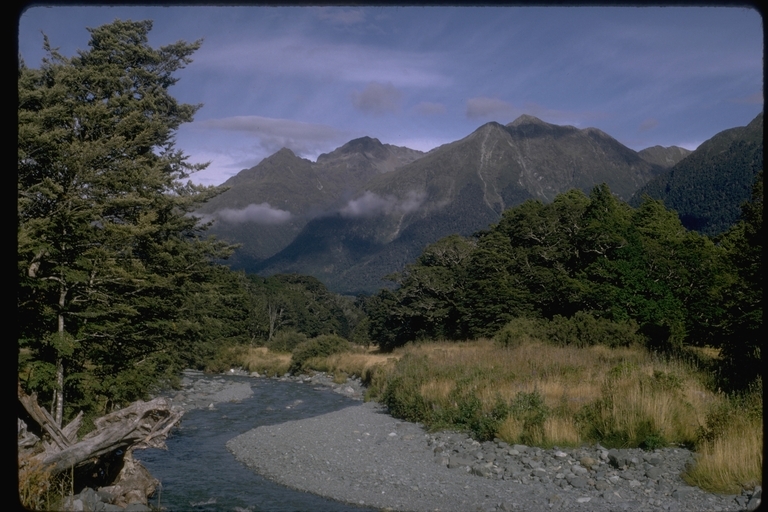 The East and West Matukituki Valleys offer enjoyable day walks across farmland and beech forest flats, as well as access to a number of demanding tramping and climbing routes in Mount Aspiring National Park. The track enters the bush near Aspiring Hut. After 10 minutes a bridge crosses Cascade Creek, and a 1 km bush section emerges onto an open terrace leading to Shovel Flat. From the head of Shovel Flat there’s 400 metres of bush before you reach Pearl Flat.